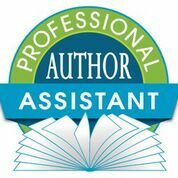 Certified Professional (Virtual) Authors Assistant – Fully self-paced and online this is a great course if you are interested in assisting authors. Developed by Jan King the course covers everything from manuscript creation, publishing services, and book marketing services. VA Classroom/Freelance University – Since 2008 VA Classroom (now Freelance University) has been inspiring and educating Virtual Assistants from around the globe to develop in-demand skills. VA Trainer – This VA training course will get you established in your business. Provided by Kathie Thomas, a 20+ year veteran of the virtual assistant industry in Australia. 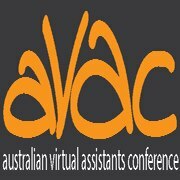 The Australian Virtual Assistants Conference (AVAC) is the premier conference for Virtual Assistants in Australia giving virtual assistants the opportunity to congregate in person with their peers, meet new VAs, network and socialise, learn and grow, all in this awesome two day event. Get inspired by a range of speakers well-known in their industries, relevant to our industry and learn some new skills to take back to your business. VA Directory – THE go to network for Virtual Assistants – founded by Kathie Thomas in 1996 the network and directory is the longest running in Australia – for both overseas and Australian VAs. AVAA (Australian Virtual Assistants Association) is a non-profit organisation dedicated to the education and development of its members as part of the professional Virtual Assistants industry, and educating the public on the role and function of the Virtual Assistant here in Australia. VA Networking – The VA Networking Virtual Assistant Career startup program is designed to get your Virtual Assistant business up and running easily, quickly, without the stress of doing it from scratch in just 30 days. Plenty of resources for VAs including training programs. Square Credit Card reader – Take payments wherever you are. Accept Visa, Mastercard, and American Express card transactions for one low rate, with no surprise fees. See deposits in your bank account as soon as the next business day. Send receipts via email, text or print them out. Demio is a smart webinar platform on a simple mission. In just three clicks you can be up and running with your first webinar. Simply enter a title, date and time, and you’re ready to launch. You can upload slide presentations in to your room, coordinate everything with a backstage area, live real-time chat with participants including webcam, and record everything automatically.